It is common for people to have a gap between the inner side of the foot and the ground when standing (an "arch"). The arch begins to form between the ages of 3 and 10. On standing the person will have a high arch, the heel appears to be drawn towards the inner side and the toes may be clawing. The front of the foot may appear to be dropped. This results in the 1st Ray (1st toe joint) and the 5th Ray (5th toe joint) to be dropped. 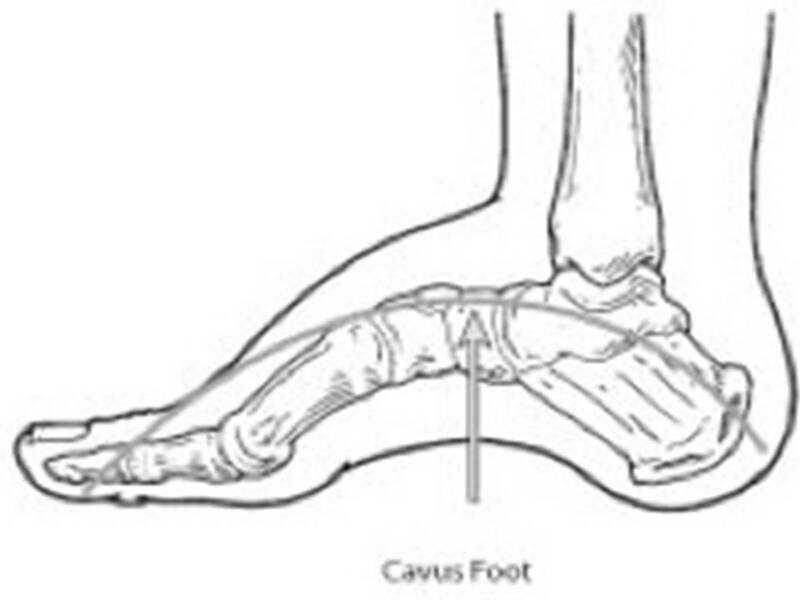 Corns or callus may occur under the sole of the foot, especially under the 1st and 5th toes and the heel due to expressive, repetitive pressure.